Turns the LED on! No Blinking, stable bright Light! Version 2.1: Better Icons, less Advertisements! 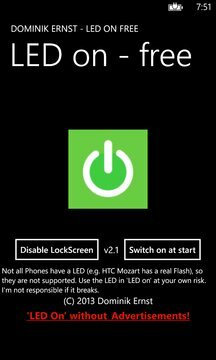 Does not work on Devices with real Flash, like HTC Mozart!